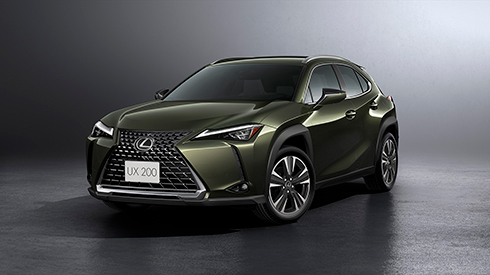 Bringing the Creative Urban Explorer concept to life, the UX surprises and excites with a bold expression of the Lexus YET philosophy that combines contradictory elements to create new value in a fusion of advanced functionality with beautiful design. ‘Creative’ aims for an imaginative and refined lifestyle; ‘Urban’ evokes a design that stands out in the city; and ‘Explore’ embraces fresh opportunities and challenges, expanding the horizons on life. 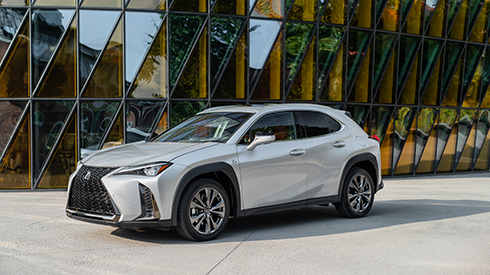 Compact and taut, the dynamic exterior flows from the distinctive Lexus spindle grille into the three-­dimensional forms of the fenders flaring out from the cabin center, expressing powerful driving performance and secure robustness with an eye-­catching appeal. 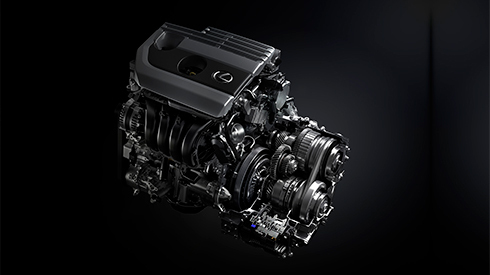 The advanced 2.0 litre inline 4 cylinder engine generates a sophisticated blend of powerful performance with exceptional fuel efficiency and environmental friendliness. The engine’s basic design was refined to boost thermal efficiency and power output while reducing both weight and size. It utilizes high-­speed combustion technology featuring a long stroke, high-­efficiency intake and exhaust ports, and multi-­hole direct injectors. Additional refinements including a continuously variable-­capacity oil pump, a variable cooling system, and VVT-­iE on the intake-­side valves, contribute to the exceptional performance and fuel efficiency. The ultra-­compact 3-­eye Bi-­Beam LED headlampscombine a beautiful distinctive design with exceptional light distribution. 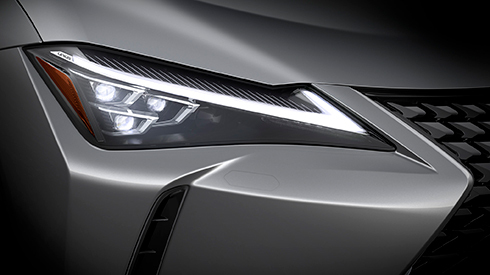 The Lexus signature L­–shaped DRL (Daytime Running Lamps) set above the headlamps feature distinctive vertical illumination lines that enhance the feeling of depth. When Lane Tracing Assist is activated, it alerts the driver of possible lane or road deviations and helps assist steering to avoid them. 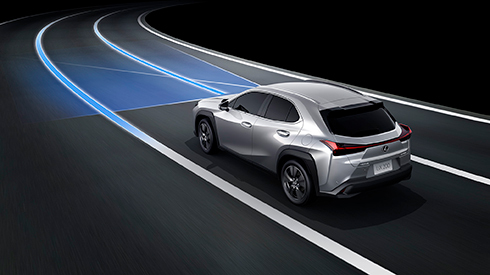 In addition, while driving on highways and automobile-­only roads with Dynamic Radar Cruise Control (with full speed range) activated, it helps assist steering to keep the vehicle in the lane. Building on the secure powerful presence of the UX, the F SPORT pursues a low, wide form that evokes sports performance at a glance. 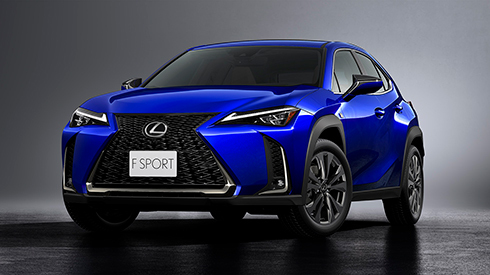 It integrates exclusive F SPORT design features that include the mesh radiator grille, front and rear lower bumper garnish, 18 inch aluminum wheels and select exterior colors. The sporty feeling is amplified in the driver’s cockpit with its exclusive sports seats, TFT meters, clock, steering wheel with paddle shifters, shift knob and pedals, and realized in the exhilarating performance of the specially tuned suspension, AVS, performance dampers and Active Sound Control.